Above: Horizon Power Offices and Depot, Esperance. 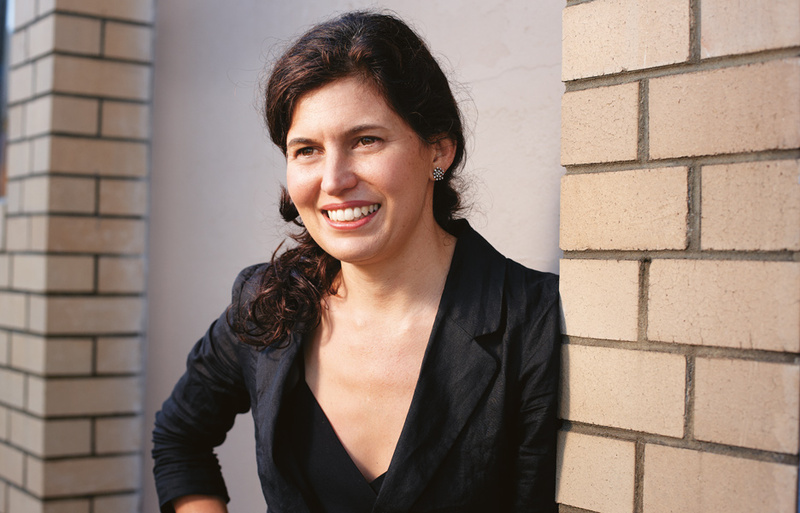 Kelly Rattigan is managing director of Formworks, a Perth-based practice established in 2001. With over $80 million worth of projects underway, most in design phases, Formworks is certainly one to watch. In 2012 Rattigan was awarded the AIA National Emerging Architect Prize for excellence in design, practice, education and community involvement, and also received a WA 40 under40 Award for entrepreneurial achievement and business leadership. All the same, I admit to deep personal unease with the term ‘emerging’ in architecture, as I believe it reveals more about what it is peripheral to (namely an establishment) than what it actually is. Rattigan is mildly bemused by the category, although she doesn’t see it as pejorative. Instead, she recasts the long, lean game of ‘emergence’ as a time of opportunity rather than apprenticeship, practice rather than training, flexibility rather than specialisation. She reflects that her work to date has allowed her to test ideas, to ‘build, build, build’ and to sharpen her interests, both notionally and materially. When I met her recently, she cheerfully announced that now she is really ready to experiment, and I was relieved that she offered, in her inimitably optimistic manner, a way of focusing on what it actually is that emerging architects can do. For her, it’s investment in the primacy of ideas, the will to never say no, to interrogate rather than rely on reputation and to be nimble in breadth of engagement. 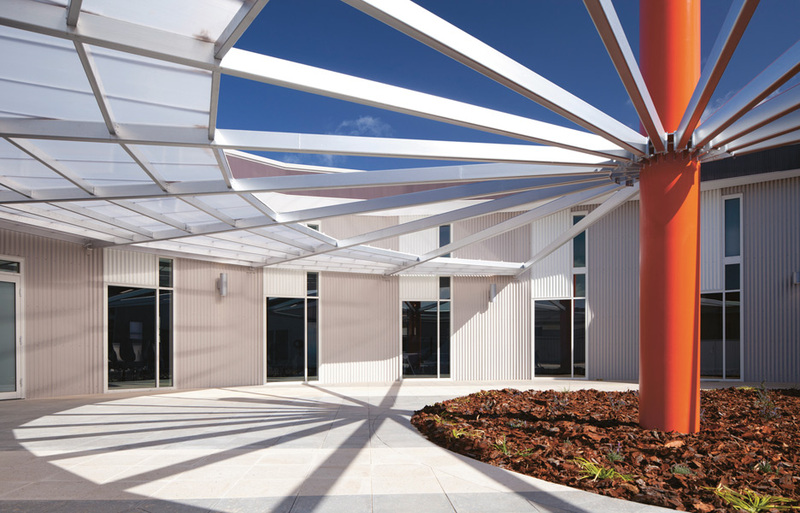 In recent years, Rattigan has steered Formworks from entirely residential to a range of public projects, with an emphasis on social infrastructure and community: education, health, aged care, social housing. She has done what most young practices profess to aspire to but often abandon. It takes strong nerves to achieve this. Rattigan’s residential commissions have come from Perth’s affluent western suburbs and the urbane Margaret River region, and the practice could have evolved through ever-larger houses and finer finishes. Instead, Rattigan has amassed a body of projects that lie at the raw end of the public spectrum, as well as a burgeoning commercial and large retail division. The most formative to date is the $30 million Lime Street project for St Bartholomew’s House in East Perth, due for completion in August 2012 and a determining project for Formworks in scale, scope and character. 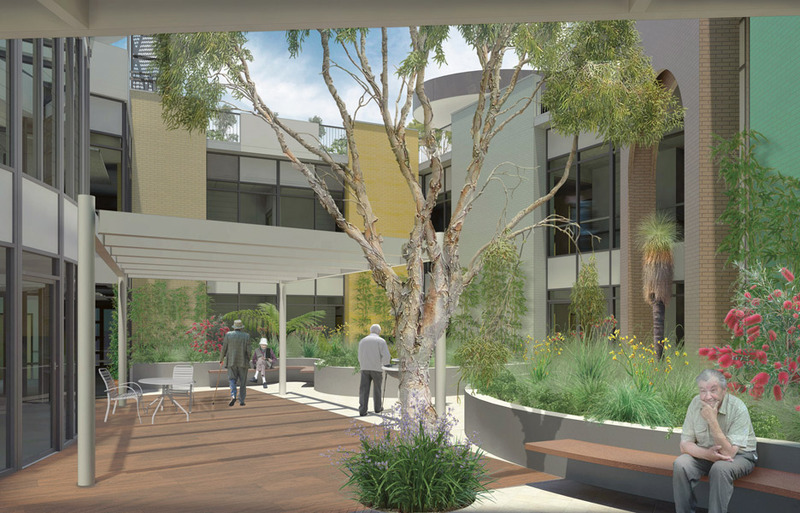 It’s also an Australian first, specifically for homeless men, combining crisis care, transitional care, long-term accommodation, dementia-specific aged care and a range of support services, all on a tight inner-city site adjacent to a railway line and freeway. Neither a straightforward multi-residential or health project, the seven-storey building is a complex mix, both typologically and aesthetically. St Bartholomew’s Lime Street Accommodation. Rattigan acknowledges the enduring influence of Peter Corrigan’s design studio at RMIT, where she completed her architectural education, and her approach to the building demonstrates that influence. Rattigan is interested in the appearance of things, and is comfortable talking about and making architecture steeped in personal and cultural imaginations. She credits Corrigan for teaching her to trust that “any idea is a good idea” and to just “start and see where it goes”, demonstrating that it’s worth taking design risks while enjoying the sometimes unexpected effects of a leap of faith. This is conviction architecture and Rattigan admits that at Lime Street “there have been a lot of hecklers – I’ve really had to cling on”. It’s a building that goes against the grain of much of contemporary Perth architecture, because it’s pluralist (“if there’s a choice of 15, we’ll use 15”) and more concerned with providing a rich inner world for its likely diverse occupants than its overarching formal presence. This makes it hard to read, aggregative, sometimes awkward and highly episodic. In consultation with existing St Bartholomew’s House clients, Rattigan recognised that many spend more time in corridors than bedrooms. Access to individual units is via external unenclosed walkways – ‘streets in the air’ revisited, with generous communal spots, broad, sunny roof terraces and torso-height, openable windows to each unit. A reaction against institutional models of secure, internal corridors and clinical vertical separation, the architecture bravely encourages and registers the contingencies of sharing space. I’m reminded of an early ARM project, the William Angliss Aged Care Facility, which has been described as an attempt to make the building a rich and diverse memory, like in a photo album. Rattigan is clear that when a client uses the Lime Street building for solace, it needs to provide signs that it can help. There is something for everyone, from the golden underside of the entrance canopy, which she describes as “like the shot silk taffeta we wore in the 80s”, to suburban paving slabs used to tile the streets in the air; from fragments of tea towels and French lace stocking patterns on sunshades to “memory alcoves”, where dementia patients can place objects of importance, or the numerous dispersed planter boxes that contain the sorts of plants you might grow from pilfering cuttings in a 70s back garden. Rattigan’s experience and advocacy at Lime Street has led to her winning a number of aligned projects, and Formworks is currently working on the Pilbara Drug and Alcohol Rehabilitation Facility in South Hedland, a village of buildings designed for staged construction, reflecting a family approach to rehabilitation. She’s also working on an Aged Care Centre in Roebourne, a series of prefabricated transportable structures under a large parasol roof, taking diverse cues from lightweight Nissen huts and the heavy masonry massing of George Temple-Poole’s public buildings in nearby Cossack. Other projects in the northwest region of Australia include remote Health Clinics for the Aboriginal Medical Service at Jigalong, Punmu and Parnngurr communities and housing designs in Mount Newman for Gumala Aboriginal Corporation. 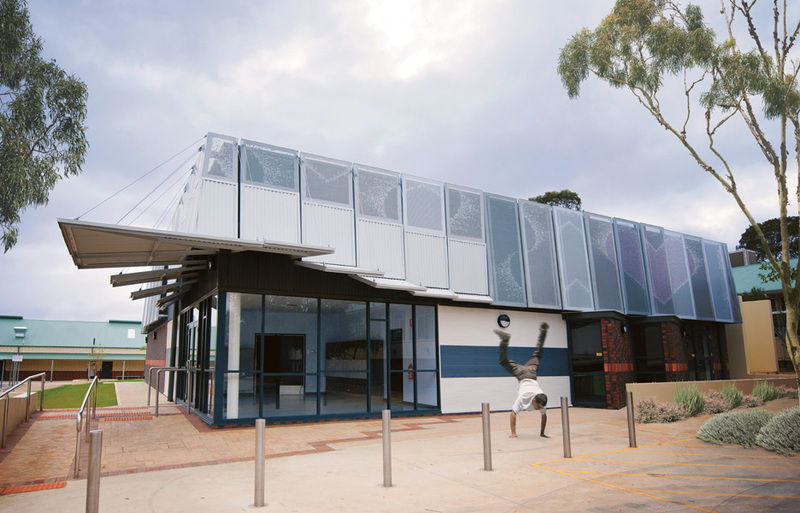 In outer-suburban Perth, Rattigan is completing schematic designs for two Children and Family Centres, part of the National Partnership Agreement on Indigenous Early Childhood Development. Designed with community members, the looped form around a courtyard is explicitly symbolic, with circles and indigenous symbols, including mia mia and wagyls, finding two- and three-dimensional representation. As Rattigan muses, “experience in teaching design is useful in community consultation, as it is about eliciting a design response rather than telling others how to do it”. Although the two centres have the same structure and footprint, they’re non-identical twins, recognisable but independent. Formworks is also finalising schematic design for a multi-storey low income housing development on the existing St Bartholomew’s House site. Horizon Power Offices and Depot, Esperance. 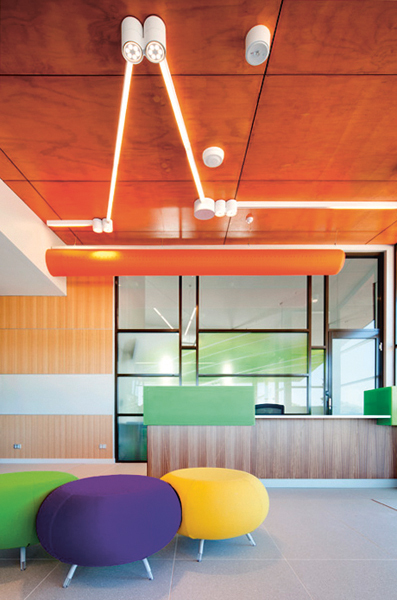 Although Formworks’ rapid establishment is based on a dedication to social infrastructure, there other aspects to the practice, including explicitly commercial projects such as the Bayonet Head Shopping Centre in Albany, and the recently completed Horizon Power Offices and Depot in Esperance, both in Western Australia. Rattigan has invested wholeheartedly in the implementation of building information modelling and is committed to extending its reach in the profession. She is business focused and plans to grow and develop Formworks so that she can “exist within it rather than be the focal point”. This is essentially pragmatic, for Rattigan is a mother of two who wants flexibility in work. It is this pragmatism, rather than ego, that drives her approach to creating that elusive work/life balance. Rattigan is honest about marketing (more than she is comfortable with) and about not doing as much design development as she’d like to, becoming a ruthless manager at times. She recognises, though, that where there are priorities there are also compromises. When asked whether it all daunts her, Rattigan, in a conspiratorial tone, says, “That’s my problem – I don’t get daunted”.